How Do I Prepare My Alarm Company For Sale? Let Experienced Alarm Company Broker AFS Help! How Do I Prepare My Alarm Company for Sale? Whether you plan to sell your alarm company years down the road or you hope to put your security alarm company on the market tomorrow, there are a number of steps you can take to ensure that your company is well prepared for sale. Here are a few recommendations for how to prepare your alarm company for sale no matter when you plan to sell. 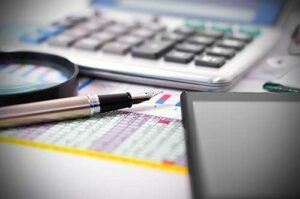 While maintaining current customer contracts and accurate financial records is generally best business practice, it is also important when it comes to preparing your security alarm company for sale. Keeping things current helps you to promptly address any issues or weaknesses that may undermine the value of your company in the eyes of a buyer. It helps you to operate and maintain a successful alarm company while showing potential buyers that you’re a reliable, trustworthy seller when it comes time to sell. One of the best ways you can prepare yourself and your alarm company for a future sale is by implementing a succession plan. Whether you are planning to sell in the near future or years down the road, developing a succession plan forces you to think hard about the decisions you’ll have to make when you do decide to exit your company. When you’ve spent your life building a business you can be proud of, it makes sense to ensure that the future of your company remains intact even after you are no longer at the helm. If you plan to sell your alarm company, or even if you plan to pass it on to a family member, having a succession plan is a must when it comes to being prepared. Selling your alarm business at the appropriate time is imperative if you want to maximize the profits generated by the sale. Keeping an eye on market and industry trends is key to selling at the right time for the right price. If you’re planning to sell right away, you’re in luck. Currently the security alarm industry is a seller’s market; at this point in time, there are more buyers in the market seeking out alarm businesses to purchase than there are sellers. As a result, competition, prices and profits are all on the rise. Additionally, the capital gains tax rate is currently reasonable, but poised to increase in the near future making now an ideal time to sell. Finally, the advent of the Internet of Things has made now a good time to sell your alarm company for a number of reasons. If you’re not planning to sell your alarm business right away, keep an eye on alarm and security market trends moving forward and examine past trends to look for patterns. You’ll want to make sure that you put your company on the market when it stands to benefit you most. There are a variety of benefits to working with an alarm company broker to sell your alarm company – but there are additional benefits you can glean from consulting with a broker before initiating the selling process. Alarm company brokers can share insider insight into the security alarm industry and can provide you with a thorough and accurate valuation of your company before you even put your alarm company on the market. Working with a broker as you prepare your alarm company for sale can ultimately help you to navigate a smooth sale resulting in significant profit. Having a relationship with an experienced alarm company broker can also benefit you when it comes to selling your alarm business. From understanding the true value of your organization to negotiating favorable terms of sale in order to ensure your company is sold for what it is worth, an alarm company broker can help you to make the most of the sale. Sellers who work with alarm company brokers typically see higher profits from the sale of their companies. Need Help with Preparing Your Alarm Company for Sale? Contact AFS Today! For a free, no obligation alarm business valuation, contact Rory Russell at Acquisition and Funding Services. With nearly 20 years of experience facilitating multi-million dollar transactions, Rory is a trusted alarm company broker who specializes in mergers, acquisitions and financing in the security alarm, fire and integration industry. 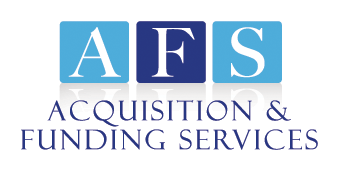 AFS can help you to ensure your alarm company is well-positioned and well-prepared to sell, provide you with the industry insight you need to make an informed decision about when to move forward with the sale of your company, and help you to maximize your profits when you ultimately decide to sell your alarm company. Contact Rory Russell today at (800) 354-3863 (his personal cell) for more information about how AFS can help you successfully and profitably sell your security alarm business.